Replies: 151 (Who? ), Viewed: 43355 times. 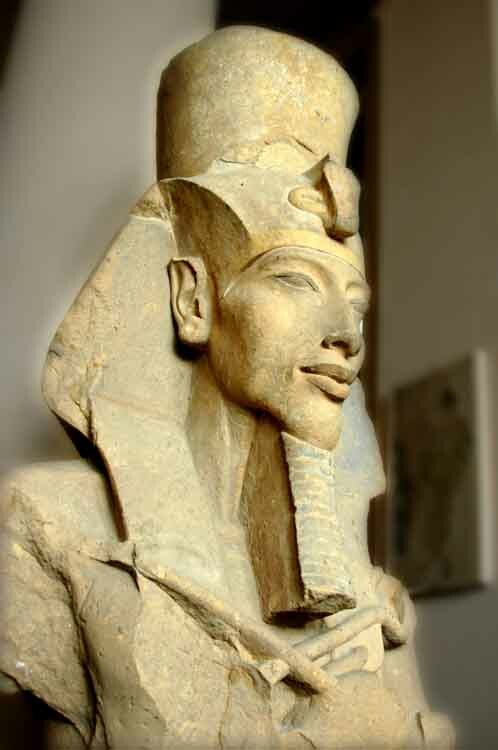 Akhenaten is greatly know as "The Heretic Pharaoh", due to his decision to abandon the old Religion in favor of the "Aten," the sun disk. 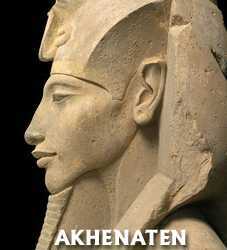 And for re-locating to the city of Akhetaten. 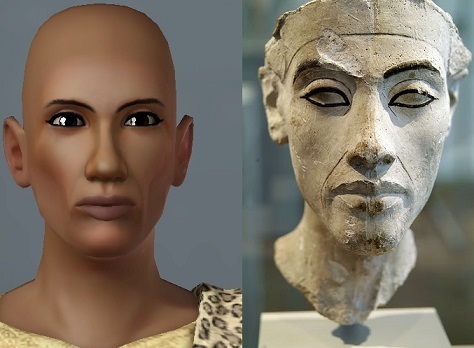 He's a bit tricky given his appearance in his statues, which depending on opinion can be seen as a literal view of how he looked or an artistic propaganda-style. 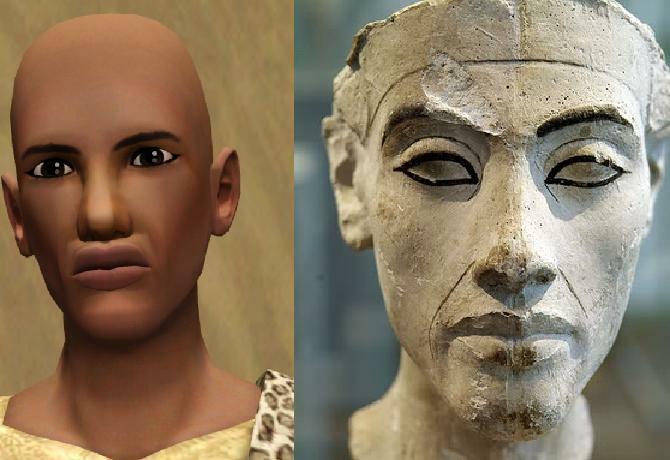 So I went with the most "Normal looking" statue of him that I could find. He's so difficult to get a grip on. His statues are all over the place. 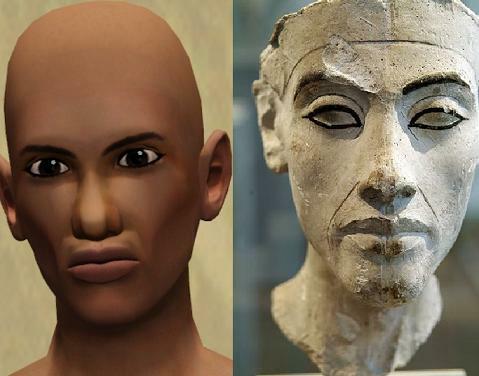 Some say the Amarna period was closer to the real thing, but they all look almost cartoonish. This is probably the same statue at a slight angle. 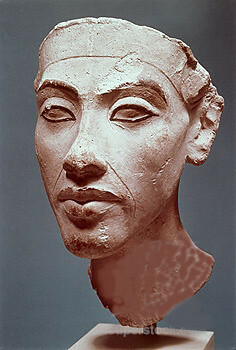 Some of the Pharaos was more or less African, and in this statue he looks like he was. That may also tie in with the other statues. Perhaps you should go for Aftrican big lips at least, they look a bit small now. As fo the lips I've maxed out the sliders...so I think now they're too big, but that may be easier to work with for me all I have to do is work down. I also enlarged the ears they look unnaturally small compared too the other features. Sorry for the expression on the in game pic, for some reason he doesn't seem to have a natural expression, all he does is laugh, sneeze and play with the phone that comes with University, so i took what i could get. And yes same statue different angle. Good start! I'd say to narrow the nasal bridge and move the eyes closer together. 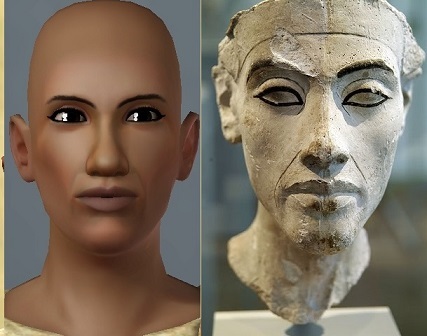 Eyebrows and eye shape looks pretty close. Upper lip should be less tall up and down. The mouth looks "puckered" and needs to move down so there is more space between nose and lips. Raise the cheekbones, if you can. 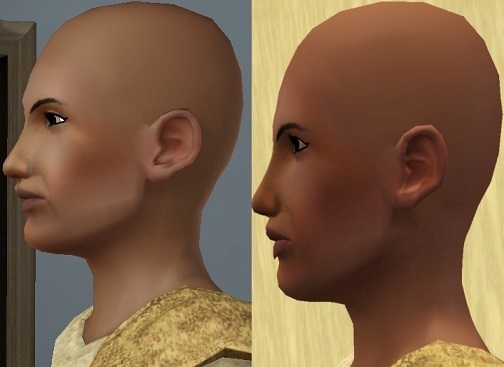 Decrease the nose tip "mass" and try decreasing the nose definition. From the side, bring the eyes forward, raise the nasal bridge a little, and turn the nose tip down. Also, pull the chin back to be more flat from the side. Looking forward to an update! Um I did what you asked, but I think I may have messed up; his features are so drastic that one click the wrong way is a disaster. I also have a few issues now: There is clipping under the eyes, don't know what that's from. And I couldn't find the nose tip mass button only nose tip: scale, depth and rotation. Also the mouth goes no lower and the cheekbones go no higher. But i did move the cheek bone shape slider all the way too the right. 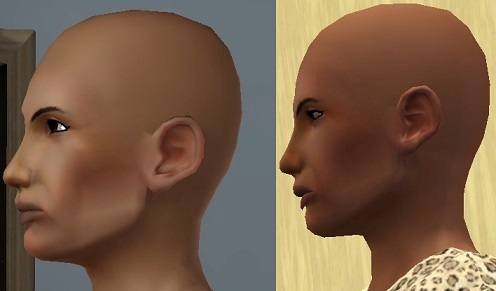 I often think these simmies are too short in the lower part of the face. I have a slider to move the below the nose part lower to elongate the head. Do you have that? I hope you get your issues sorted. 1. Lowered the jaw to elongate the skull and lower the mouth. 2. Adjusted the eye depth to remove the clipping under the eyelid. 3. 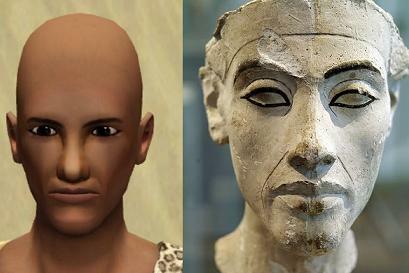 Raised eye socket height for the hooded eye effect as seen in various statues. Yes they are rather short there which annoys me. I don't know what slider you mean, but if it's one that has to be downloaded I don't have it as I use no CC except store content unless it's for CAW as it does not agree with my game or my mother's computer. 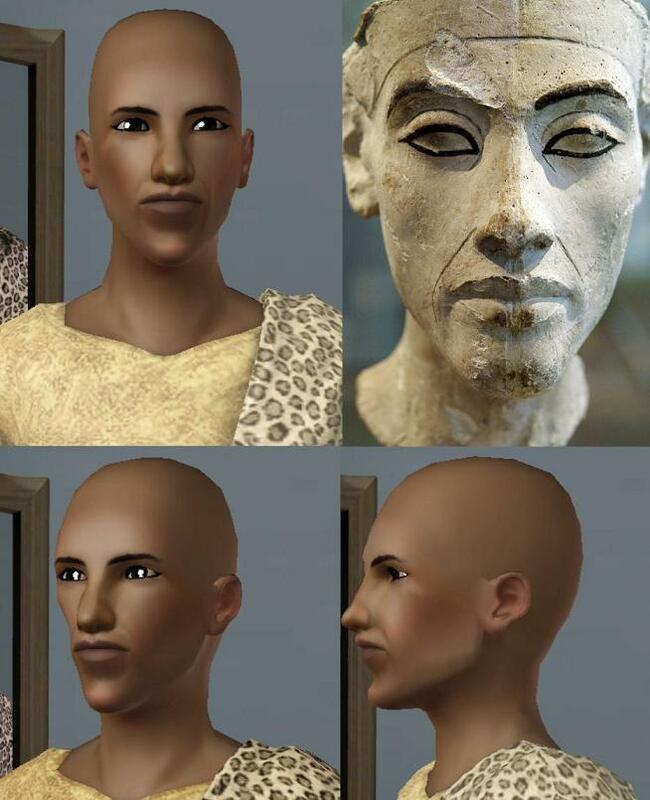 Also if you view my Nefertiti thread you'll see I have a new refurbished computer just for Sims, and will be putting all on this one from the old one. Glad to see you back working on this! Congratulations on your new "just for Sims" computer! I am at a loss of what to do, his nose tip needs to be small but no matter what I do there is not much of a difference, what should I do? I'm not sure if the nose tip needs to be smaller or the nose above the nostrils wider. You might try that and see what you think. Good luck! 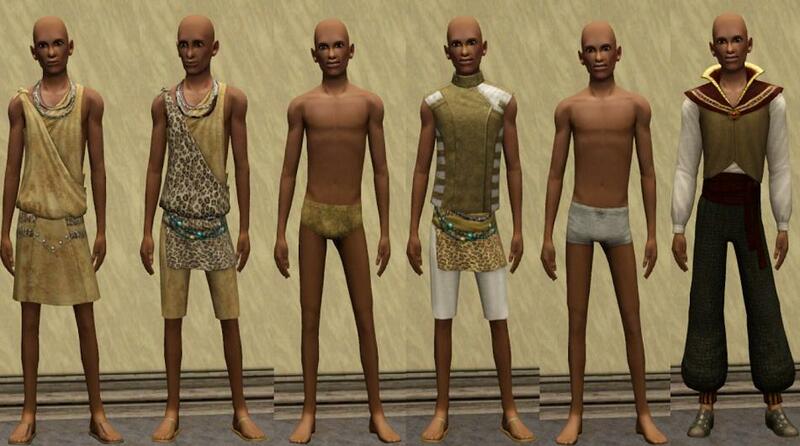 since now you have a "just for sims' comp are you gonna download any sliders? I think they're gonna be very useful for your 2 sims! Live your life to d fullest! B happy!! 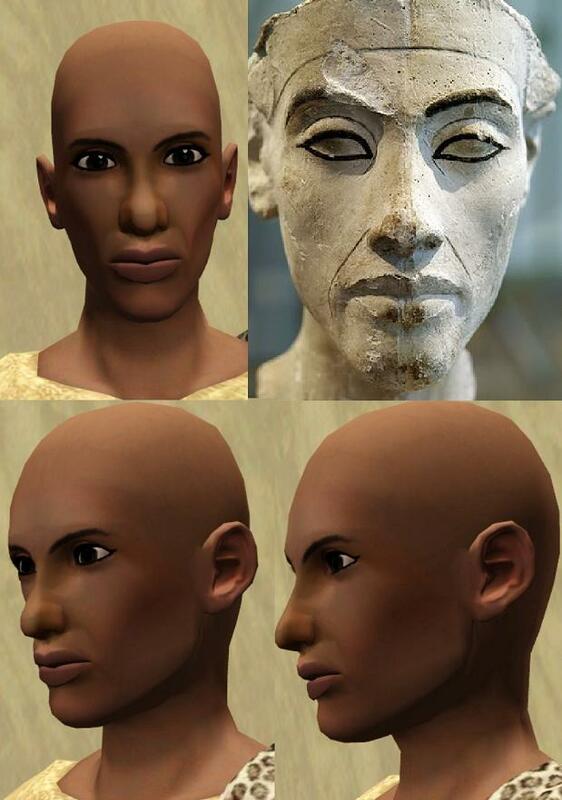 Well Nefertiti is basically done. all that's need is prep for upload; pics, description .etc. and hopefully she'll be approved. Although I want to see how she looks as an adult first. Ok I have seriously had it with his nose! 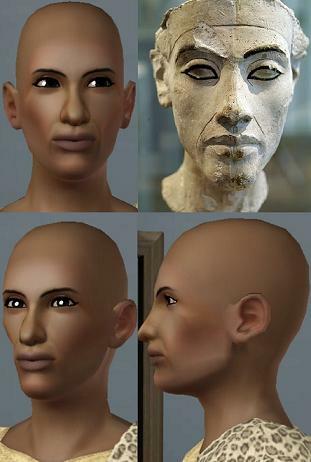 Changes made, mouth adjustments: decreased upper nd lower lip width, and I think upper lip either thickness or shape. I always confuse the two. I've circled his nose where the problem is, maybe somebody has an idea how to make it look better. 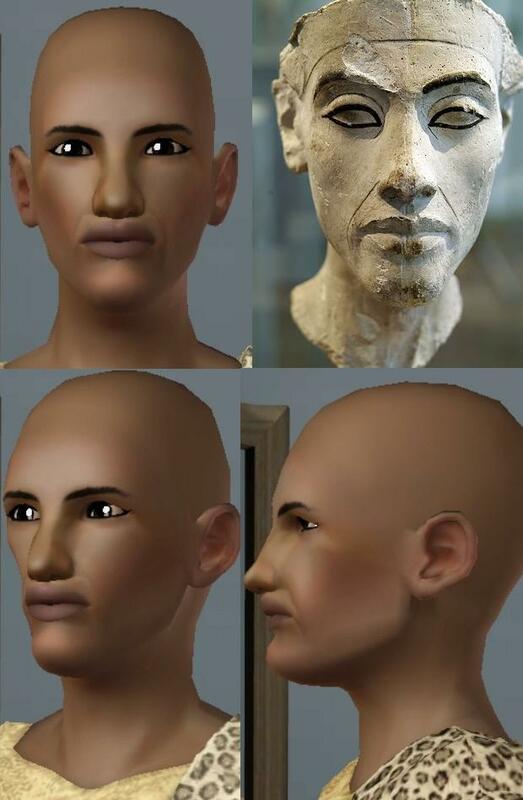 Maybe a new nose preset? rework just that from scratch? What's next: at the moment I nose see some things to fix, mouth corner curves and possible over all mouth curve. Good work! Chin longer and squarer. Upper lip thicker up and down and, maybe, a little wider. Max the nasolabial crease, if not already. 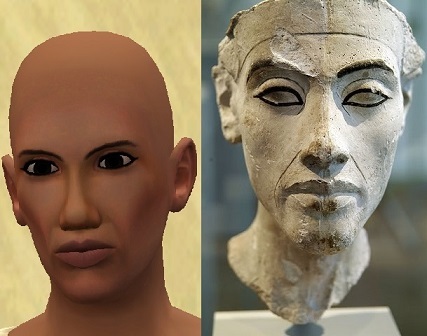 Actually, I don't think the tip of the nose looks that bad. The nasal bridge and upper nose should both be wider. Looking forward to an update! Again, I'd work more on the profile. And the chin - he has way more long chin. 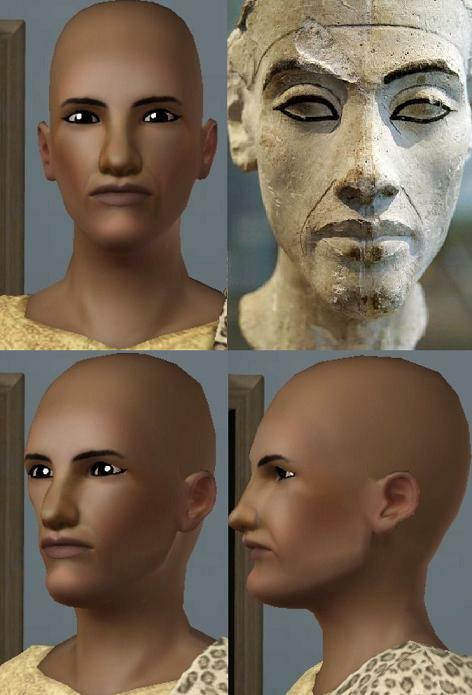 Sims 3 has ability to do so. And, you could raise the tip of the nose, the nostrils to be seen more. Don't know the actual name of a slider in english, sorry. #17 24th Feb 2014 at 10:46 PM Last edited by Katie Turner : 26th Feb 2014 at 4:05 AM. Oops, wrong statue again? Sorry! I missed this point when searching for a photo of his profile. Shame on me. These Sims threads isn't something I usually comment on, but perhaps I can help out here. I can't find any good profile pictures of him, but it wouldn't surprise me if he had that bump on his nose and the nostrils being very close to his bones like you see in the cartoonish thing Lamare posted. Just try'n reduce the elongated qualities a bit, but you have a rather short face to use, so I would just use my best judgement on this. Sorry about the strange words, the head has so many words I don't have in my vocabulary, English being a second language. Elongated, I suspect they have just dragged his head on top and bottom to make all features appear longer, if you just squash his head in the same direction perhaps you end up with something useful. This just sounds rediculous, but perhaps you understand me lol. This woman makes some incredible stuff. I recently downloaded her outdoor Christmas set...soooo beautiful. Yes I came across them, they are lovely. but I'm really not comfortable with downloading from TSR. 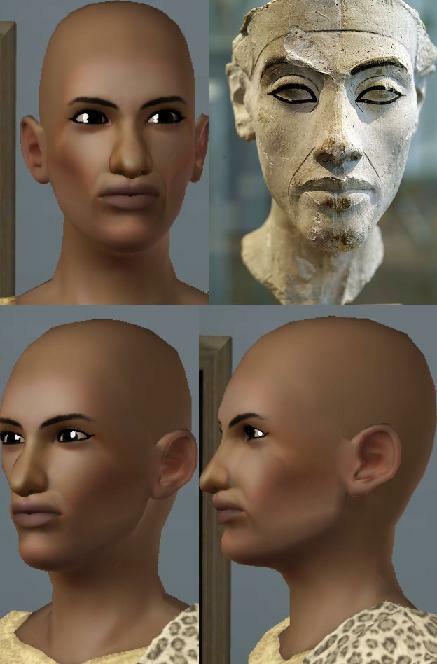 Besides eventually I plan to make my own CC Egyptian outfits, as soon as I download blender and all other required programs. 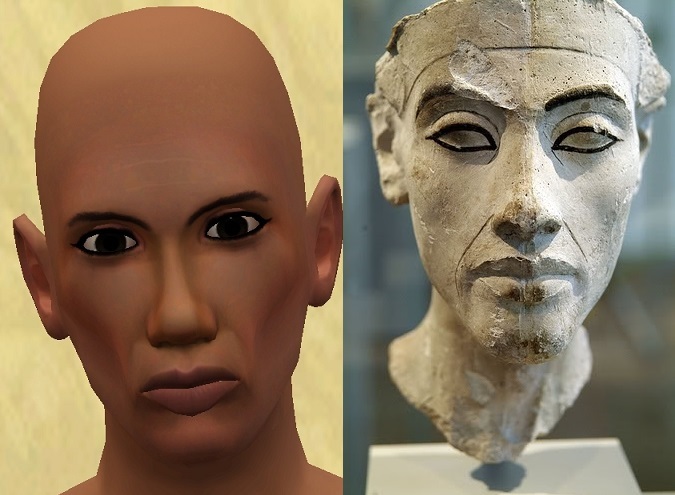 I noticed that the reference-Akhenaten has more space between eyes and brows. And yet he had a longer chin. If you look closely, his face a little more narrow and elongated chin that protrudes from the jaw down. Ok, I better draw than talk.